One of the objectives of the Chaire en prévention et traitement du cancer is to raise awareness of everyone to the importance of cancer prevention. That’s what Richard Béliveau, Ph.D. in Biochemistry, has endeavoured to do since 2005, the year he published his first book, Foods That Fight Cancer. He followed up a year later with his second book, Cooking with Foods That Fight Cancer. 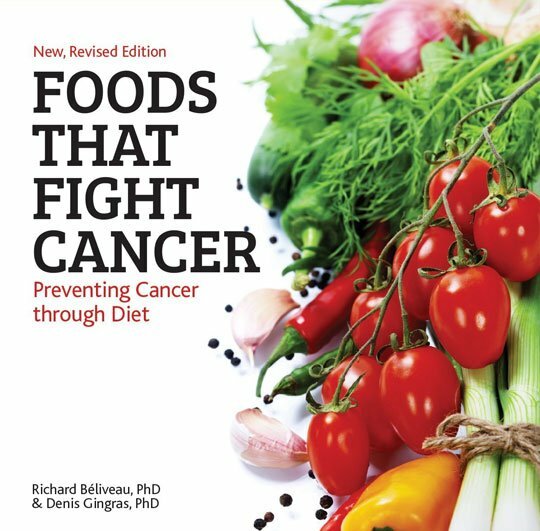 Foods That Fight Cancer was originally published in 2005 and sold over 200,000 copies in Quebec alone. It was translated into 25 languages, and sold an additional 450,000 copies worldwide. A decade has passed during which an enormous amount of conclusive scientific evidence has shown how some foods contain cancer-fighting elements. In fact, approximately one third of all cancers are directly related to diet. Every week there is a news story about a food that prevents cancer — and it often contradicts last week’s news. Foods That Fight Cancer cuts through the noise. It explains the science behind each food recommendation and its statistical potential for disease prevention. It itemizes which foods are the most effective against specific cancers and explains how they work. By understanding the science behind the therapeutic benefits of these foods, we come to realize why it is so critical — and easy — to bolster our body’s defenses against cancer just by adding cancer-fighting foods to our diet. Curcumin may have the greatest positive impact in preventing colon cancer. Add one teaspoon of turmeric to soups, salad dressings, or pasta dishes every day. Freshly crushed garlic is by far the best source of anti-cancer compounds. Supplements have little or no effect in the fight against cancer. Fresh food is the only weapon. Foods That Fight Cancer has sold more than 180,000 copies across Canada and has kick-started a revolution in our understanding of the cancer-fighting properties of food. Now we know of the health properties of green tea, dark chocolate, and red wine, but how do we learn to incorporate these foods into our daily diet? 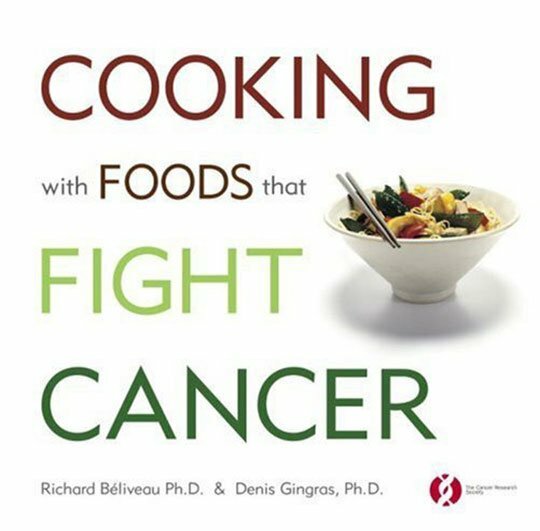 Anticipating this dilemma, authors Richard Béliveau and Denis Gingras have teamed up with professional chefs to create Cooking with Foods that Fight Cancer. Featuring 160 specially created, delicious recipes — including Cuban Black Bean Soup, Scallop and Strawberry Rosettes, Maghreb Couscous, Sweet Chestnut Brownies — and packed with information on the latest research developments in the field, this gorgeous, full-colour cookbook is the essential companion to the first bestselling volume. 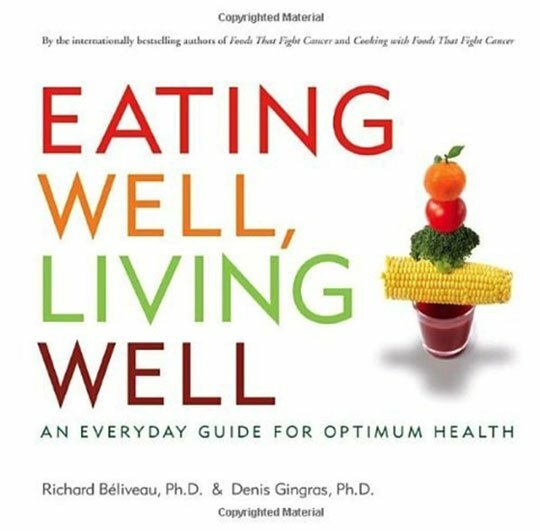 In this highly anticipated addition to their bestselling series, Dr. Richard Béliveau and Dr. Denis Gingras continue to discuss the powerful link between food and health, this time turning their lens on a broader array of diseases and conditions. With their trademark accessible explanations of complex medicine and research, the authors discuss the impact of diet on obesity, diabetes, cardiovascular and neurodegenerative diseases, and cancer. And again they show us just how easy (and pleasurable) it can be to alter our diets for optimum health. Our love of life makes the inevitability of death very difficult to accept. Death is a comprehensive examination of that inevitable and universal human experience. 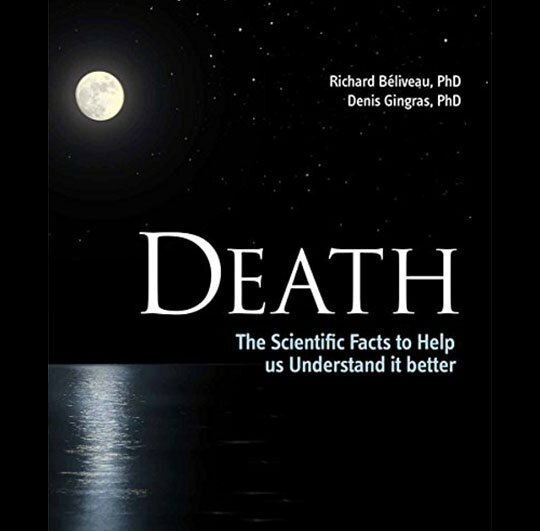 To better our understanding of death–and so perhaps fear it less–the book explains the biological processes and the different causes of death, and examines the human perceptions of death throughout history and across cultures. Death is abundantly illustrated with masterpieces of art, paintings and sculptures and their representations of death, as well as abundant diagrams that explain the science of death. It methodically explores the biological limits of life, the rituals of death and describes the events surrounding the loss of life, using the most current research and medical analyses. Death is sprinkled generously with humor and the wisdom of the great thinkers. Reflecting on our philosophical, scientific and spiritual understanding of death, it speaks to our visceral fears and allows us to better appreciate life. Cancer is the leading cause of death in the majority of industrialized countries. Yet there is no reason to feel powerless. Research has shown that nearly three-quarters of cancer cases could be prevented simply by changing everyday habits, a positive impact unlikely ever equaled by any treatment. Preventing Cancer provides the necessary tools to those who want to take their fate into their own hands. Decades of research by agencies like the World Cancer Research Fund and the American Cancer Society has revealed ten major recommendations that are the best weapon at our disposal to help prevent cancer and give cancer survivors a practical tool to prevent recurrence. Preventing Cancer explains the science behind each recommendation and its statistical potential for disease prevention. 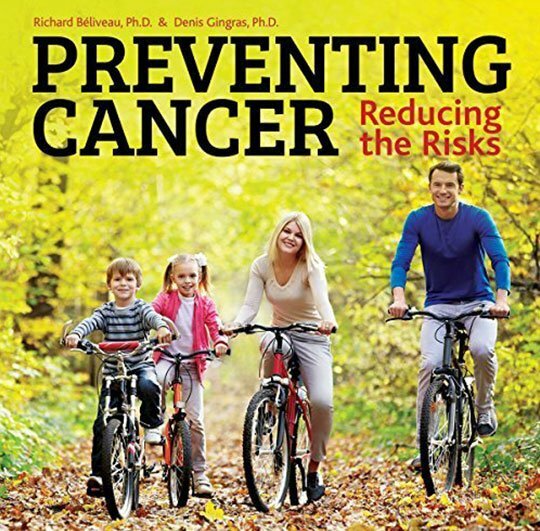 The authors provide numerous practical examples of lifestyle changes that can make a profound contribution to cancer prevention.